1	3	WOW Hits 2015 2CD	In Stock - Order before 4pm for same day dispatchWant it on Wednesday 24 April? Straight from the radio to you - WOW Hits 2015 brings you the biggest Christian artists & songs! With songs about sharing God's love, giving praise, and placing your trust in God, WOW Hits 2015 captures the songs impacting our world. 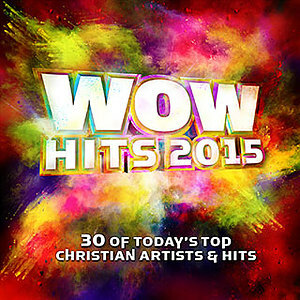 WOW Hits 2015 features 30 uplifting songs on 2 CDs, plus 3 bonus songs from up-and-coming artists. The Biggest Artists: Francesca Battistelli, Big Daddy Weave, Casting Crowns, for KING & COUNTRY, Newsboys, Tenth Avenue North, Third Day, TobyMac, Chris Tomlin & many more! The Biggest Songs: 10 #1 radio songs, 15 more in the top 5, PLUS 3 songs in the top 10. WOW Hits 2015 2CD by Various was published by Integrity in October 2014 and is our 807th best seller. The ISBN for WOW Hits 2015 2CD is 0602537509744. Not really gripping titles on this CD, Quality sometimes not optimum. Got a question? No problem! Just click here to ask us about WOW Hits 2015 2CD.